Schaeffler will supply the transmission for Audi's full-electric e-tron SUV. 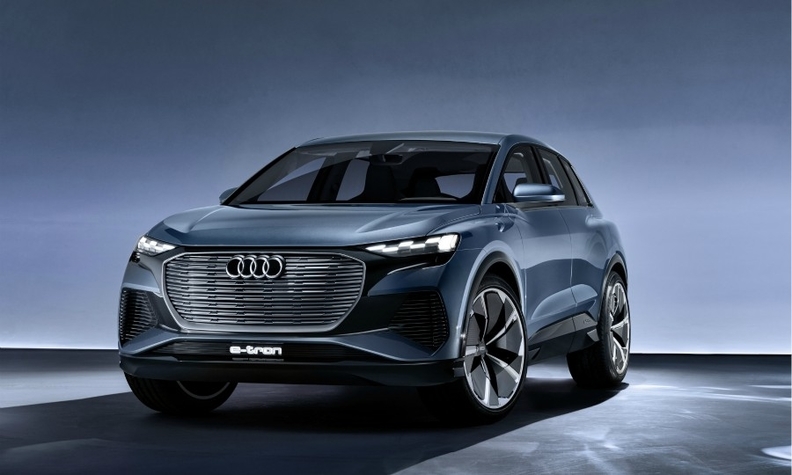 Schaeffler may be best known for its ball bearings, but the company is also involved in the coming EV era as the transmission supplier for Audi’s e-tron full-electric crossover. 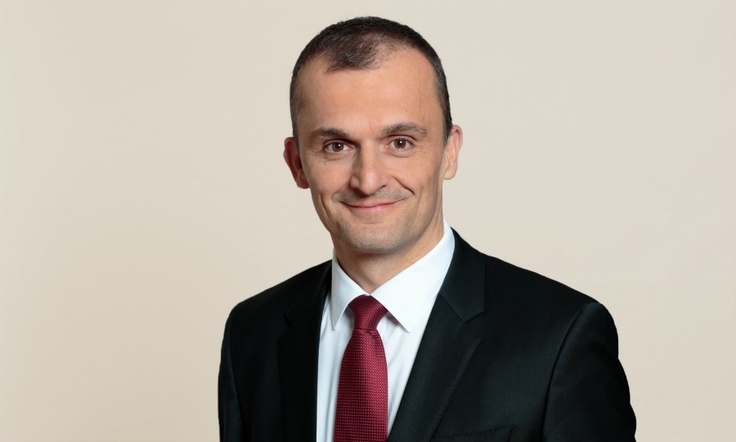 The head of Schaeffler’s automotive business, Matthias Zink, wants the German supplier to significantly boost its presence in electrified powertrains. He explained how to Automotive News Europe Correspondent Christiaan Hetzner. How much Schaeffler can be found in an average combustion-engine car? About 110 euros worth of our parts are built into every passenger car. Our biggest business is in engines and transmissions, where our market share is roughly comparable. Nevertheless, Schaeffler generates more turnover per component for the latter. We can make about 400 euros supplying the hybrid dual-clutch gearbox, actuator and the software for Honda, for example, whereas the largest turnover we might achieve with an engine is maybe half that. The goal is for your new electric mobility business unit to account for 10 percent of Schaeffler Automotive’s revenue by 2020, up from 5 percent now. Are there really that many EVs you expect to supply? This depends on a couple of plug-in-hybrid deals coming to fruition. Until the middle of last year, it looked as if we would see a very quick progression from combustion cars straight to battery-electric vehicles, but we are registering a much greater interest in hybridization. That’s not what you hear from automakers. Hardly any brand is really pushing plug-in hybrids. Their message to the public may primarily focus on electric vehicles but talks within the industry are much broader. Given the shift from diesel to gasoline engines, the pressure to meet CO2 fleet emission limits is increasing. And before an automaker pays a fine for each gram of CO2 they are over, they would rather pay for technology. This month the first Audi e-tron electric crossovers will be delivered. Schaeffler will supply the one-gear transmissions for each electric motor. Can you really make money with such simplistic mechanics? The technical demands are actually very high, so that can bring 300 to 400 euros per axle. Compared with 110 euros on average, the chance for Schaeffler to maintain our content per vehicle -- or even grow it -- is definitely there. We see our potential innovating not just the product itself but the production process. Why did your transmission win? In terms of torque per kilogram weight, it offers the best performance for the packaging. It also features our patented lightweight differential. But it was its characteristics in terms of noise, vibration and harshness [NVH] that decided in our favor. This will become much more important once the combustion engine disappears, and you only hear the sound of the tires rolling on the road. Main challenge: Reducing Schaeffler’s dependence on its traditional powertrain business. Which automakers are planning to use your e-axle? Great Wall will be implementing it in a hybrid vehicle marketed by their premium Wei brand. We also have a deal with Changan. These e-axles -- in which we deliver the electric motor, gearbox and power electronics in one compact unit -- can fetch 1,000 to 1,400 euros. But the competitive landscape is far more intense than in our established businesses. When will we see the wheel hub motor you are developing under the name E-Wheel? It’s in a relatively advanced stage of predevelopment. But the wheel hub motor isn’t for use even in a minicar. It is better suited for urban applications that aim to maximize interior space, such as robotaxis that don’t need the kind of performance required to drive on the autobahn. If Schaeffler delivers a complete rolling chassis to a mobility services provider, aren’t you competing against carmakers -- your biggest customers? It’s a sensitive issue, but at this point I wouldn’t answer no. What is Schaeffler doing in the area of autonomous vehicles? We are approaching it from the chassis side -- for example, drive-by-wire. We started a joint venture with Paravan, which specializes in vehicles for physically disabled drivers. Paravan is the only company that has a system approved by regulators where you can operate a vehicle via a joystick that is only connected to the wheels and the brakes via an electric cable. I’m not saying this is where we will strike next, but electronics is one open spot where we are looking at our options, whether it’s a partnership, joint venture or an acquisition.